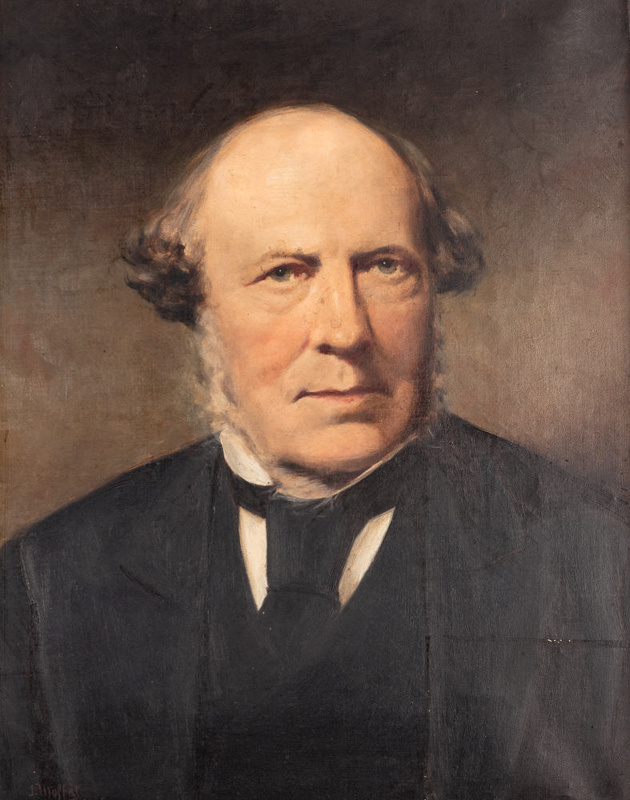 A portrait of Alexander McNab painted in 1880. We don't know the background to the creation of this painting but its significance is that McNab was one of the first pastoralists in Eastern Southland. Originally a shepherd from Argyllshire, Scotland, he immigrated to New South Wales in 1839 and farmed there before taking up the Knapdale Run in the Mataura River Valley in 1855. 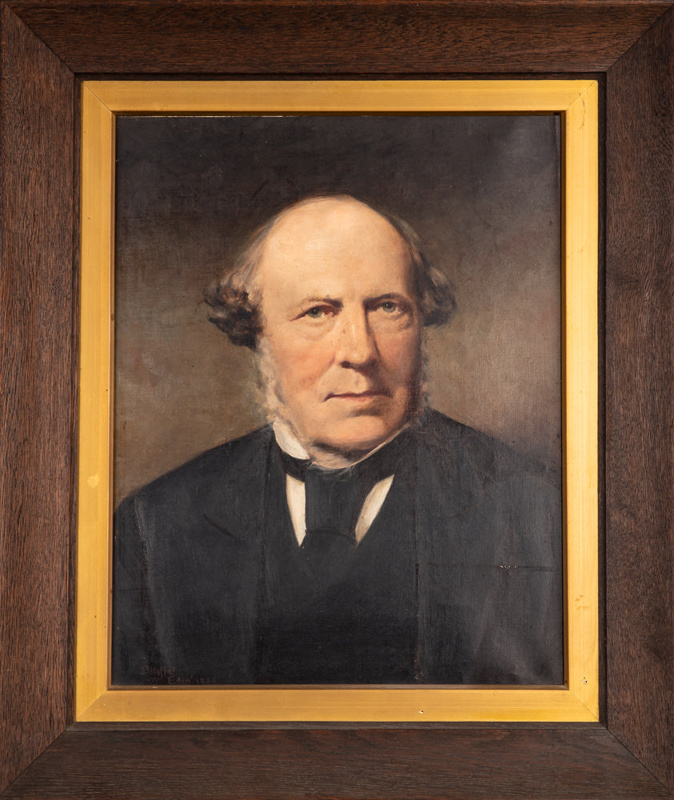 This is one of set of three 'McNab' portraits in our collection. the other two are of McNab's wife Janet and his sister Catherine. All three are online. Painted in light red in bottom left corner: 'J. 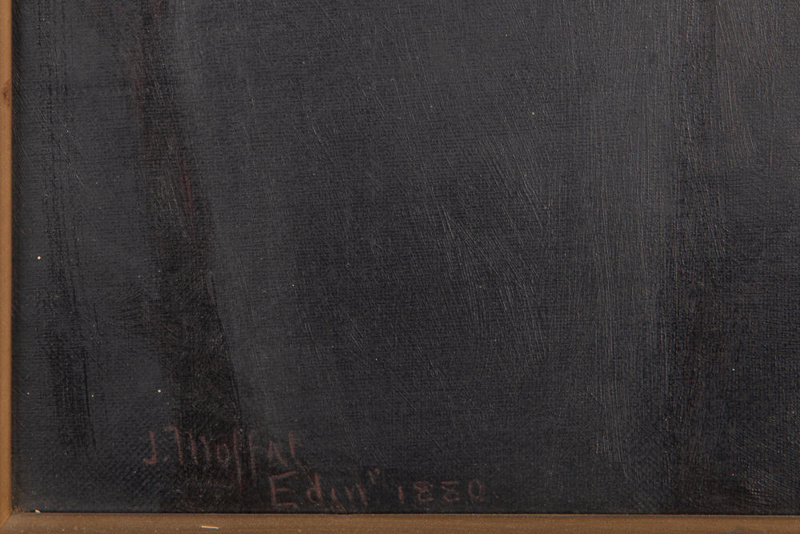 Moffat Edin" 1880' . Written in ink on a white label on reverse of frame: 'W.7'.